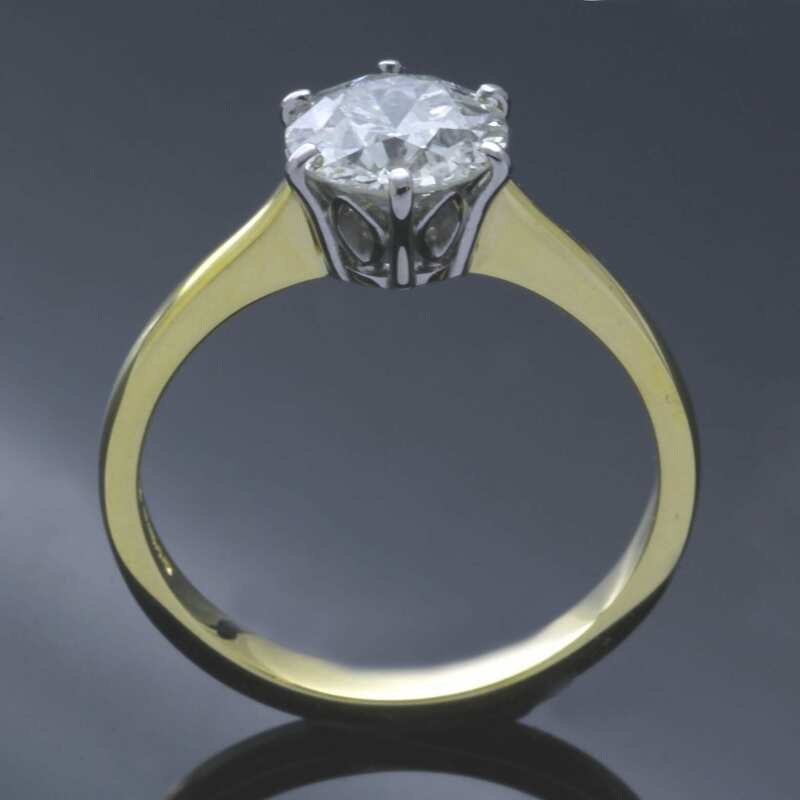 An astounding bespoke solid Platinum and Diamond engagement ring designed and hand crafted by Julian Stephens in collaboration with a client. 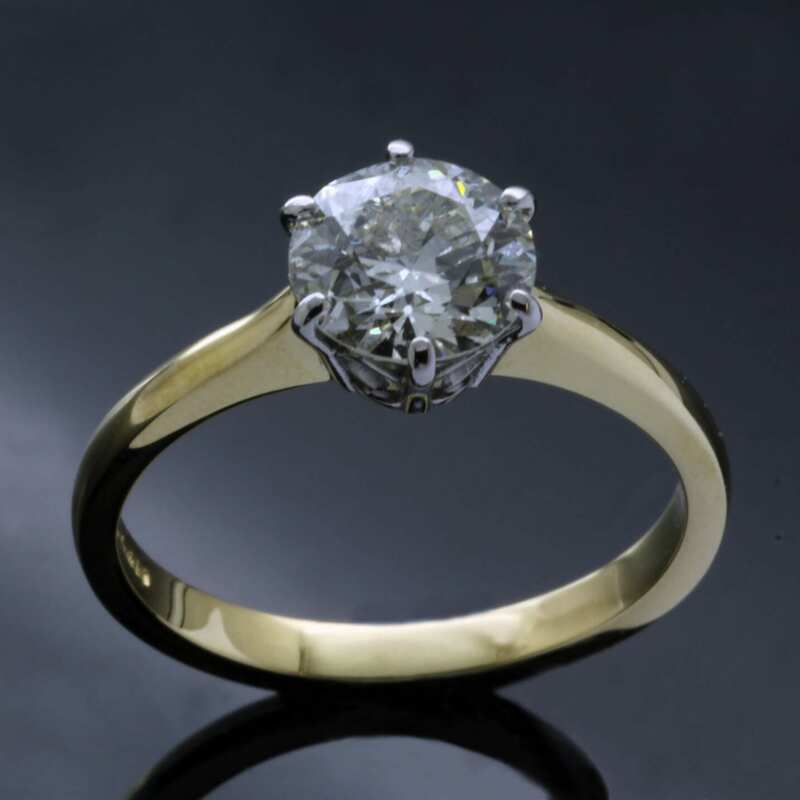 This truly magnificent custom made engagement ring is a stunning example of Julian’s commission work which in this instance involves completely redesigning an existing, outdated ring, using a breathtaking Round Brilliant cut Solitaire Diamond from the clients old ring to create an astonishing, contemporary new ring. This stunning ring is designed to showcase this exceptional Round Brilliant Diamond set in contemporary raised solid Platinum claw setting to ensure the maximum amount of light can pass through this beautiful Diamond, enhancing the natural beauty of this faceted gemstone. This glorious Solitaire Diamond is enhanced by the icy Platinum setting and contrasting solid 18ct Yellow Gold shank, creating a timelessly beautiful, opulent engagement ring made from the finest materials. 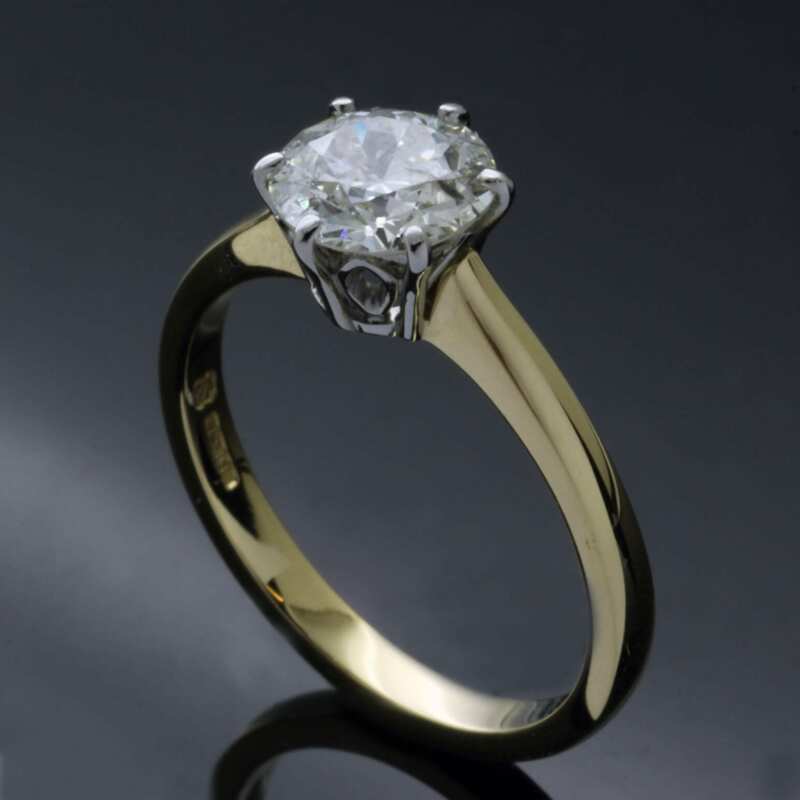 This beautiful Diamond, Platinum and 18ct Yellow Gold bespoke engagement band is finished with a glossy polished effect expertly hand applied to the Platinum and Yellow Gold by our master Goldsmith Julian Stephens, to create this luxurious, modern engagement ring design which radiates enchanting icy sparkles. 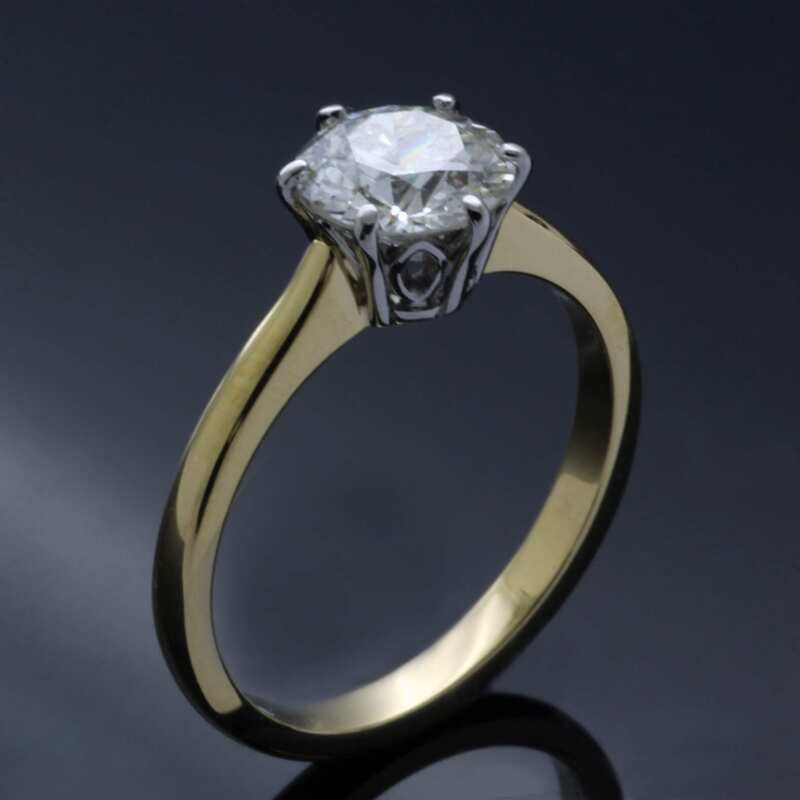 This stunning bespoke ring proudly bears Julian Stephens exclusive maker’s mark and is fully Hallmarked as a sign of the quality craftsmanship and materials used in its construction.